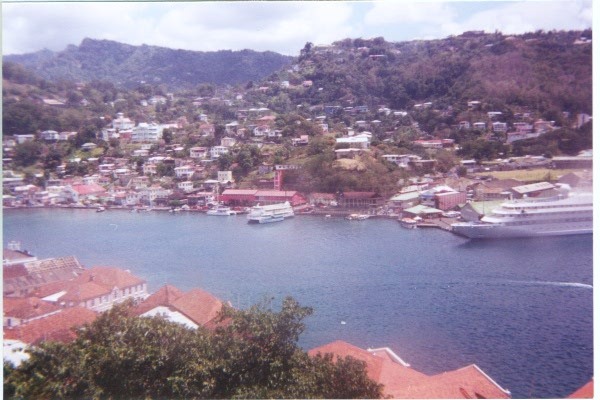 This pictures show the beautiful view of ( the carenage) Grenada's chief port. 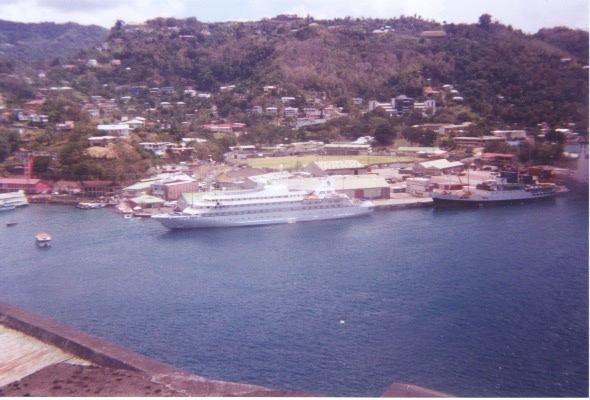 It is one of the most beautiful harbours in the world. Towards the bottom of the screen (left pic) we see the roofs of some of the older buildings.